Introducing the GTX 335D and GTX 345D ADS-B diversity transponders | Avionics Blog – Avionics to the Max! ← Garmin has announced new products! Maxcraft Avionics is pleased to announce, right from Palm Springs, Garmin has two more new products; the GTX 335D and the GTX 345D. Two diversity transponders that provide optimal Automatic Dependent Surveillance-Broadcast (ADS-B) Out coverage and visibility while operating throughout the global airspace system. The GTX 335D offers ADS-B Out, while the GTX 345D provides ADS-B Out, as well as ADS-B In traffic and weather for display on compatible avionics and mobile devices. Remote-mount versions are also available. The GTX 335D/GTX 345D are intended for qualifying aircraft that may prefer or require a diversity solution, while also meeting or exceeding global ADS-B airspace requirements. Select G1000®, G1000 NXi and G3000™-equipped aircraft have an elegant and simple path to incorporate a diversity transponder-based ADS-B solution using the GTX 335D/GTX 345D. A remote-mounted version of the GTX 335D or GTX 345D takes the place of the aircraft’s transponder and interfaces with the aircraft’s existing WAAS position source to meet ADS-B Out requirements. The GTX 345D is capable of displaying various ADS-B In benefits, including subscription free Flight Information Service-Broadcast (FIS-B) weather1 and ADS-B traffic on the primary flight display (PFD) and multi-function display (MFD). In addition to integrated flight deck compatibility, the GTX 335D/GTX 345D interface with a variety of other Garmin avionics, flight displays and mobile devices. These include the GTN™ 650/750 and GNS™ 430W/530W navigators, the G500 TXi/G600 TXi/G700 TXi and G500/G600 flight displays, as well as the aera® 796/795 and aera 660 portables. 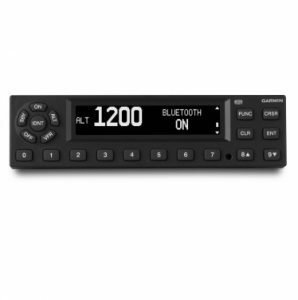 These transponders are also compatible with the Garmin Pilot™, FltPlan Go and ForeFlight Mobile applications, as well as other third-party avionics. Display capabilities vary, visit the Garmin website for full compatibility details. Call or come visit us at Maxcraft for more information. This entry was posted in Avionics News, Featured Posts and tagged ADS-B, aircraft, Canada, cockpit, Flight Instruments, garmin, GPS, GTX 335D, GTX 345D, Helicopter, Maxcraft Avionics, MFD, PFD, pilots, tcas, VHF Radio. Bookmark the permalink.